When it comes time to install your solar energy system you need skilled, experienced and certified trades people to do the job right so you can enjoy years of worry-free, optimal operation. That’s why you can trust JAZZ Solar Solutions. We’re proud to employ 2 of only 15 Listed NABCEP certified solar installers in Canada. 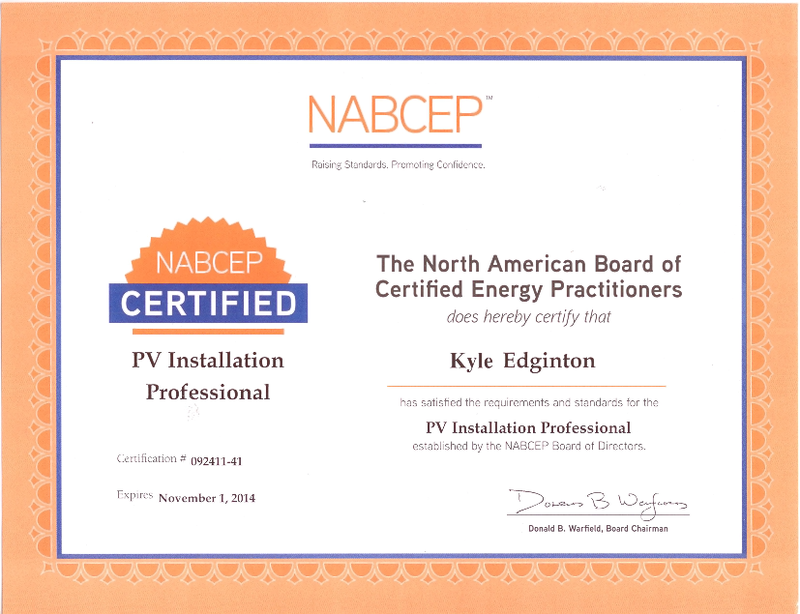 The North American Board of Certified Energy Practitioners (NABCEP) is the “gold standard” for PV and Solar Heating Installation and PV Technical Sales Certification. It is the most respected, well-established, and widely recognized certification organization for North American solar professionals. Raising industry standards and promoting consumer confidence, NABCEP offers certification and certificate programs to renewable energy professionals throughout North America. The NABCEP was founded with the mission to support and work with the renewable energy and energy efficiency industries, professionals and stakeholders to develop and implement quality credentialing certification programs for practitioners. 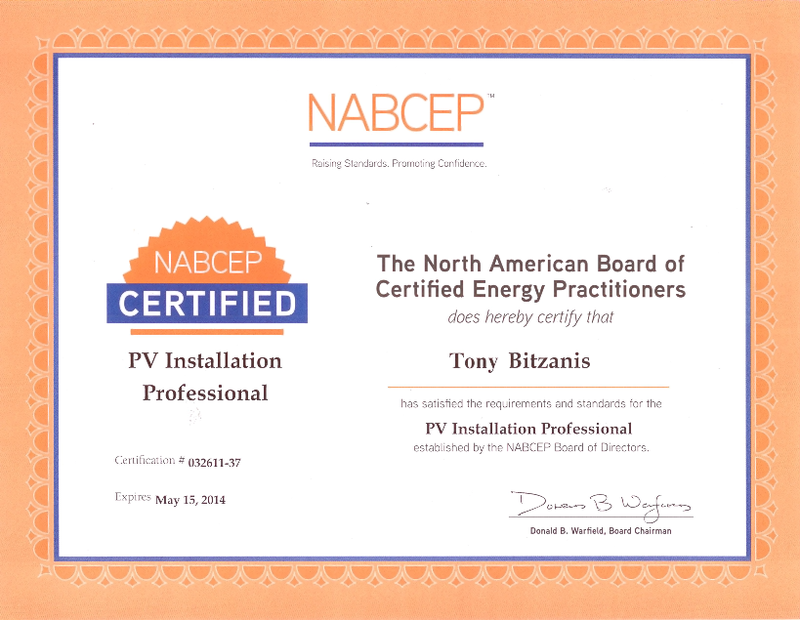 NABCEP PV Installer Certification is North America’s ONLY renewable energy personnel certification that has been ANSI Approved and Accredited to the internationally recognized ISO/IEC 17024 Standard. Less than 50% of Applicants Successfully Pass the Certification Test.